Leeds agency The Lucre Group has picked up two new clients for its home and lifestyle division. James Grace and Scott Storey Outdoor Living (SSOL) were both won without a pitch after recommendations. 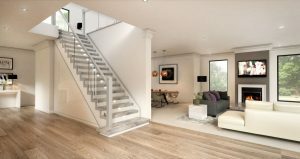 James Grace, a UK specialist and market leader in bespoke staircases, has tasked Lucre with growing awareness of the company through PR and social media. Lucre is also helping to launch SSOL, which is aiming to bring a new approach to the design and installation of specialist non-wood decking. Lucre's experience in the sector includes work with Bosch, Dulux, Mira Showers and Stanley Tools.